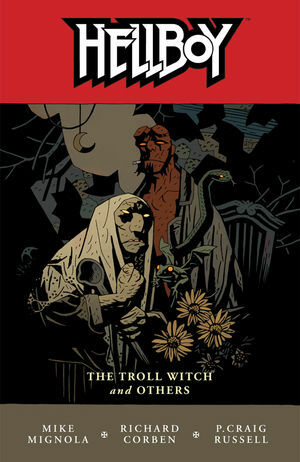 Hellboy has finally returned from his adventures at sea, but no sooner has he settled on land than a conclave of witches drags him from his respite and into the heart of Russian folklore, where he becomes the quarry of the powerful and bloodthirsty witch Baba Yaga. Bent on revenge for the eye she had lost to Hellboy, Baba Yaga has enlisted the aid of a deathless warrior who will stop at nothing to destroy Hellboy. Since his creation in 1993, Mike Mignola's Hellboy has accumulated dozens of industry awards and become a favorite of fans and critics alike. Now, Mignola turns over drawing duties to Duncan Fegredo (Enigma, Ultimate Adventures) for a new chapter in the life of the World's Greatest Paranormal Investigator. * Collects the entire six-issue miniseries, along with two new epilogues--one drawn by Mignola, and one by Fegredo--and an extensive sketchbook section from both artists!